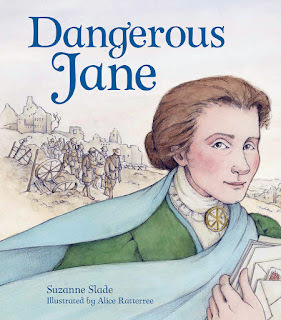 Dangerous Jane, written by Suzanne Slade and illustrated by Alice Ratterree, is the energetic picture book biography of the Nobel Prize-winning woman the FBI once named “Most Dangerous Woman in America.” With a timely focus on activism, community, immigration, poverty, and peace, Dangerous Jane inspires readers young and old to live out her enduring message of hope. From the time she was a child, Jane’s heart ached for others. At first, she focused her efforts on poverty, which lead to the creation of Hull House, the settlement house she built in Chicago. For the next 25 years she helped immigrants live at Hull House in peace. But when World War I broke out, Jane decided to take on the world, becoming a “dangerous” woman for the sake of peace. Jane Addams is an American icon and hero who has many accomplishments attached to her name, but not everyone saw her that way during her efforts to bring peace to the world. To learn more about Jane Addams, her life, and her legacy, check out these great resources! Read an Excerpt, explore the Dangerous Jane Teacher's Guide, and download the poster. 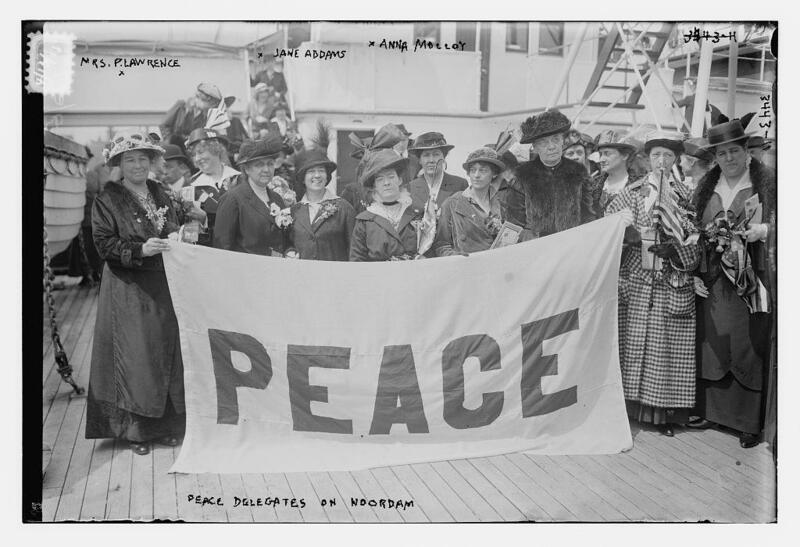 Jane Addams among advocates for peace during World War I. 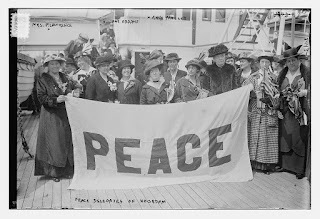 See the original FBI files on Jane Addams when a treason investigation opened in 1924 involving the Women's International League for Peace and Freedom, an organization that Addams helped found, here. Ask yourself: How will you change the world today? You can pick up your copy of Dangerous Jane at your local library, indie bookstore, or Barnes & Noble.